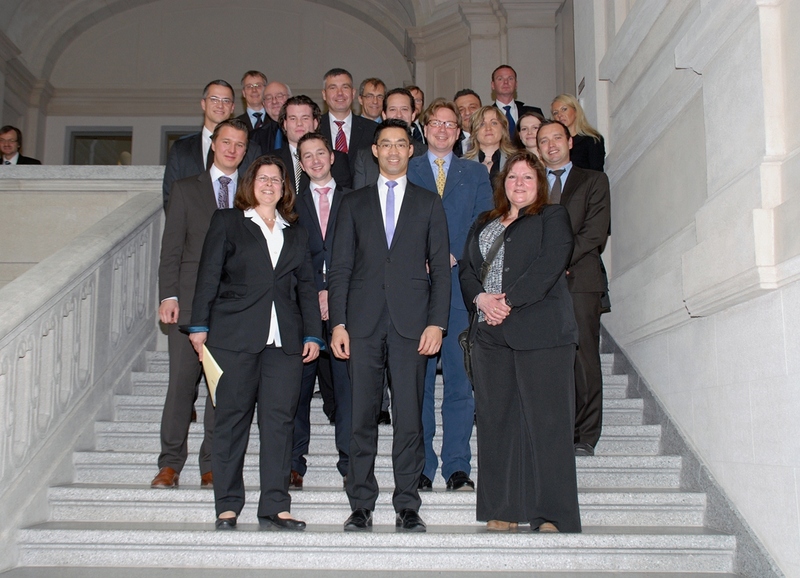 On 4th of June 2013 InovisCoat GmbH was invited together with eleven other entrepreneurs from the high-tech sector by the Federal Minister of Economics and Technology, Dr. Philipp Rösler, to a workshop meeting at the Ministry in Berlin. It was important to the Minister to learn first-hand about the past and current challenges and perspectives of young, successful technology companies. The selected companies are working in the fields of biotechnology, energy technology, medical technology, optics, new materials and environmental technologies. InovisCoat GmbH is involved in all these areas. At the meeting InovisCoat GmbH emphasised the importance of access to risk capital, the availability of skilled personnel and increased support of founding teams not only during the start-up phase. Federal Minister Rösler clarified that he’ll take the specific concerns of technology companies seriously and announced that it was very important to him to improve the growing conditions for entrepreneurs and young technology companies in Germany. To verify the success of the resulting measures from the workshop discussion, he invited the participants to a follow-up meeting.